Oddly enough, Knopfler wouldn’t even give his good pal Illsley an explanation for the snubbing: “He’s got his reasons, which he really doesn’t want to share with me which is unusual because we’ve shared most things over the years.” (So, we’re gonna go with Jon Bon Jovi stole Knopfler’s girlfriend 30 years ago and he’s still bitter about it. Correct us if we’re wrong, buddy!) 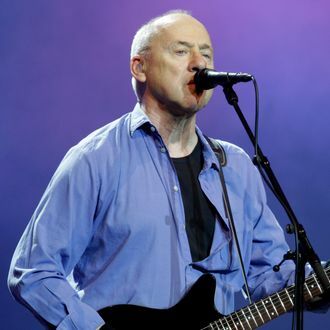 As of now, Illsley will only be joined by Guy Fletcher and Alan Clark at the ceremony, as Knopfler’s brother, David, is also refusing to attend due to the Rock Hall supposedly backing out of its promise to pay his full travel costs. Pick Withers, the sixth inductee, has yet to publicly comment on the induction, and it’s assumed he won’t be in attendance. Not only that, but the Rock Hall still hasn’t confirmed a presenter for the band! At this rate, we feel the only appropriate person would be Donald Fagen. So, What’s Going on With the Dire Straits’ Rock Hall Induction Drama?